Paris is very popular… and very busy. That's why we are always looking for ways to avoid the crowds and skip past the long lines. That's goal number one for us. And we're no different from you, we don't mind saving money whenever we can. So, we put our expertise to work to create our very own Paris Insiders Pass. We think of the Paris Insiders Pass as one of the best things you can add to your travel toolkit — it gets you into the top museums and monuments for free, it gives you unlimited rides on the Metro, it saves you money, plus it includes a couple of extra perks. Most importantly, it lets you bypass the long Paris line-ups. 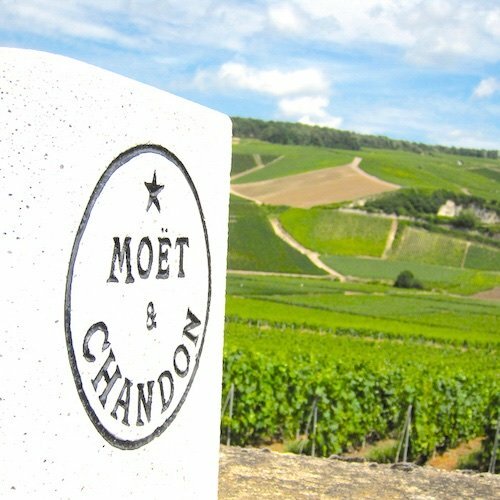 Let's find out how the Paris Insiders Pass can make your visit even better. What Makes the Paris Insiders Pass Different? The Paris Insiders Pass does as much, but costs a little less. In the past we recommended the Paris Pass and other city passes, but as we learned about the things our readers really needed and wanted we began working in partnership with ParisCityVision to create a city pass that does as much, but costs a little less. Happily, the Paris Insider Pass saves you money. While the 2-day Paris Pass costs €131, the Paris Insiders Pass is €120 — but when you use our exclusive discount code (just for our readers) the total drops to €114, saving you 13% in total. The discount code is INSIDERS5. We also made the Paris Insiders Pass easy to collect at an office very near the Louvre that's open all day, everyday. In addition, there's a generous cancellation policy — up to three days before you pick up your pass. So, if you change your mind, no problem! Our Paris Insiders Pass gives you free museum entrance. Not just for a few museums, but for virtually every museum in Paris, including the Louvre, the Arc de Triomphe, Palace of Versailles, and over sixty other museums and monuments — the ones you really want to see. And along with the big museums, you also get access to dozens of small, intimate museums. To our way of thinking, the time you save not standing in lineups is alone worth the cost of the pass. We'd use our Paris Insiders Pass even if we didn't save money, just to skip the long lines — it's that important. 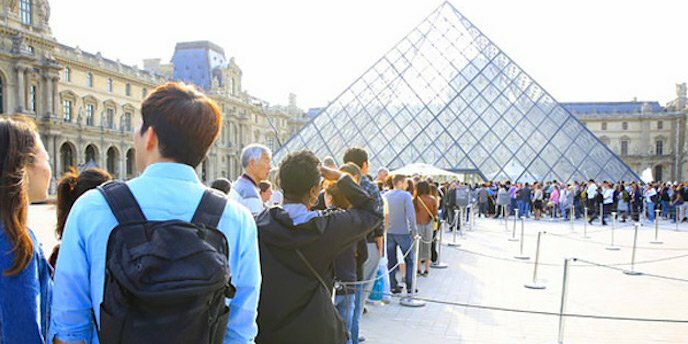 For example, the Louvre tickets lineup can be over an hour, and even longer for Chateau de Versailles. The best way to get around Paris is on the Metro and the Paris Insiders Pass provides unlimited travel. 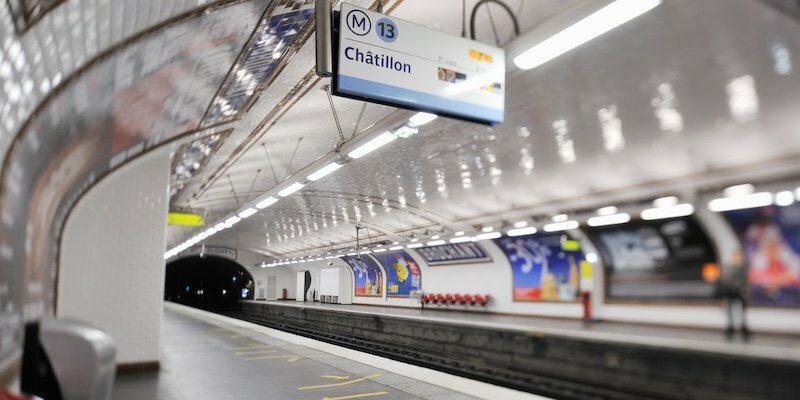 Instead of buying tickets every time you ride the Metro, you have a transportation card in your pocket that allows you to hop on the Metro, the RER, city buses, tramways, even the Montmartre funicular — whenever you want, wherever you are. The Paris Insiders Pass is a one-time purchase, everything you do with it is free. 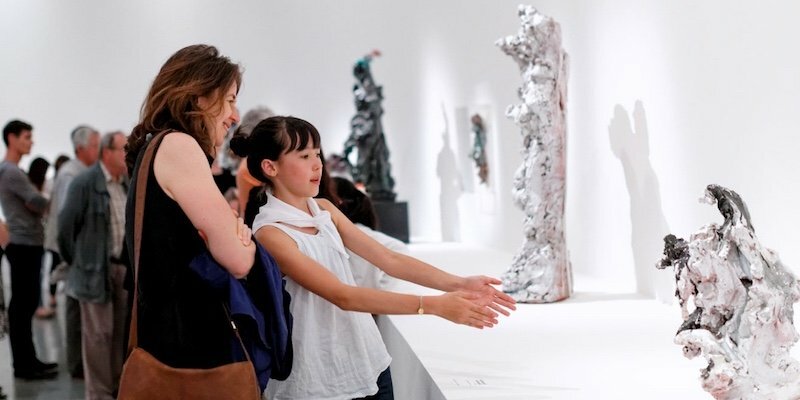 So, the more activities you do, the more museums you visit, the more you will save. How much can you save? Based on a busy 5-day itinerary in Paris, more than $100. This pass was seriously the best! We were blown away by all the museums we were able to get into using the pass! You walked right up to the front of each line and didn't have to wait. As an art lover I was blown away with the Palace of Versailles, a must-see! Loved this pass! Paris without a visit to Versailles? Not possible. 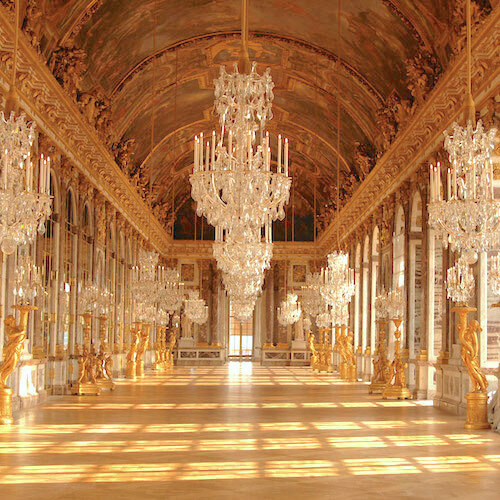 Now listed as a UNESCO World Heritage Site, Versailles is the most-visited attraction in France. That kind of popularity means very long lines. 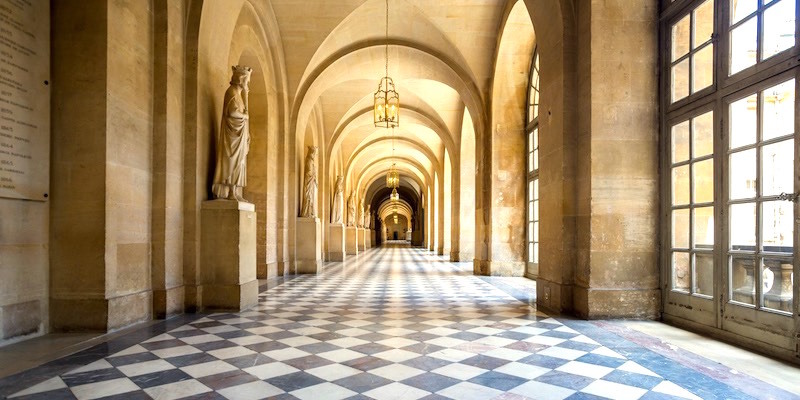 With our pass you get to skip the line-ups and save your energy for wandering the Hall of Mirrors, the famous gardens, the Grand and Petit Trianon and the magnificent fountains. 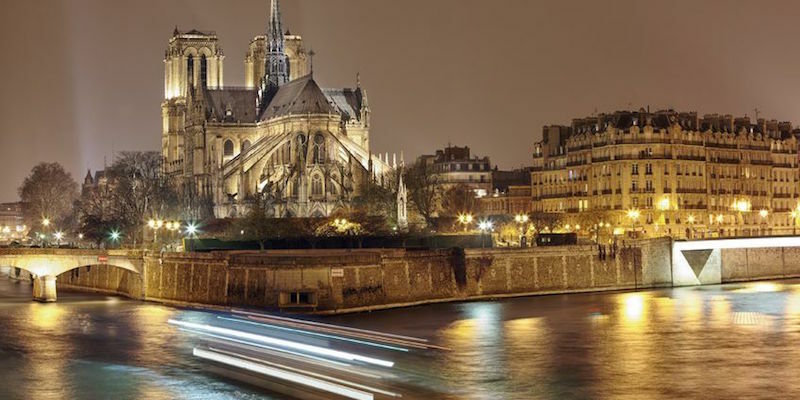 Included with every Paris Insiders Pass is a romantic Seine River cruise. The bateaux takes you past the best of Paris — the famous bridges, the Musée d'Orsay, the Louvre, the Eiffel Tower, Notre Dame Cathedral. You'll instantly see how the river divides the Left Bank from the Right Bank and how close the monuments truly are to each other. 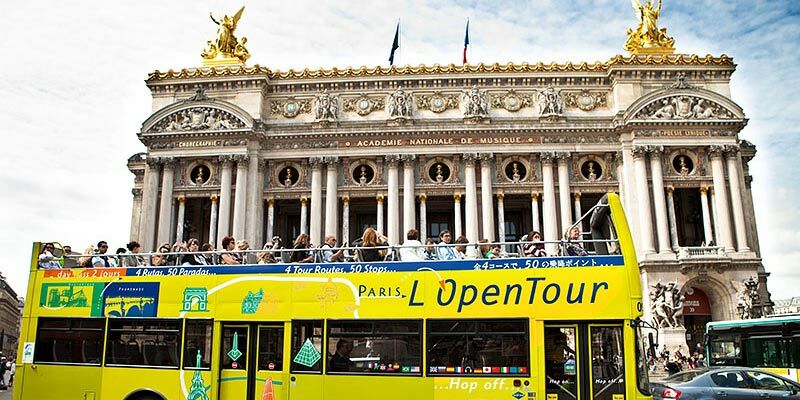 If you've never been to Paris, the open-air bus tour will give you an instant overview of the city. There are nine stops that take you from the Eiffel Tower to Notre Dame to the Louvre Museum. Sure, maybe it's a bit touristy, but we still love it — it gives you a fun, quick, visual understanding of the city. Worth it. 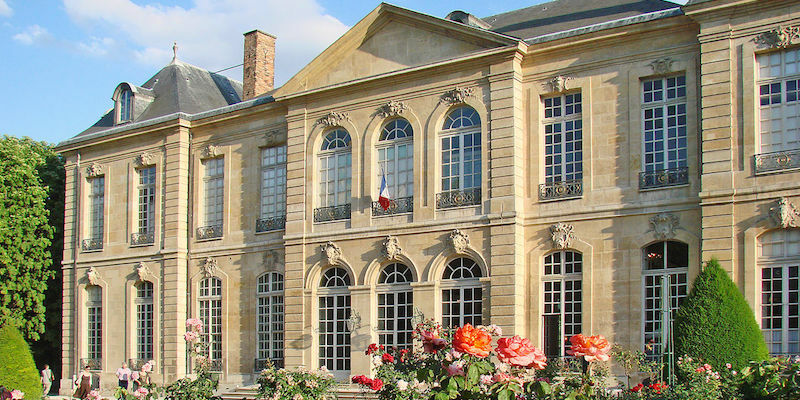 Another thing we really like about the Paris Insiders Pass is that it takes you to places you might never normally discover — the museums and monuments that are smaller or less visited. The places where locals enjoy their city. Visit the stunning La Sainte Chapelle, the peaceful Rodin Museum (shown in the photo above), the Cluny Museum of the Middle Ages, and the Guimet Museum of Asian Arts. There are loads more. If you change your mind, you can cancel your Paris Insiders Pass purchase up to 3 days before you travel. That's really generous, and makes buying the pass pretty much worry free. This pass gets you into the top 60 museums in Paris. Even though it's called a Museum Pass it also includes monuments. Here's a taste — Louvre, d'Orsay, Arc de Triomphe, the bell towers of Notre Dame Cathedral, Palace of Versailles, La Sainte Chapelle, Centre Pompidou. The Paris Museum Pass is included with our Paris Insiders Pass. 2. 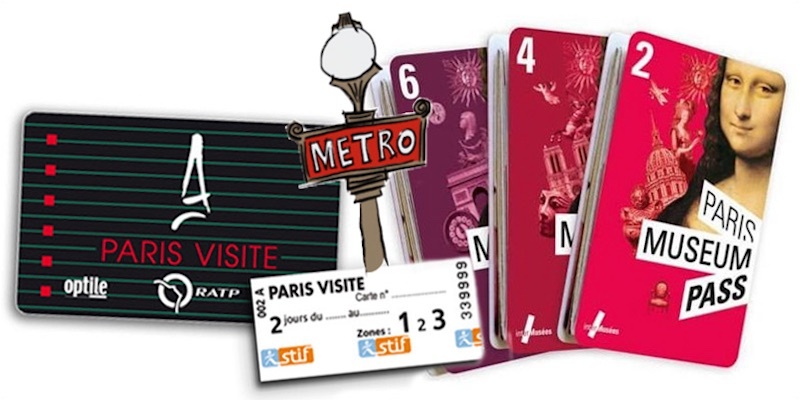 The Paris Metro Pass… Plus! Paris Visite is the name of the Paris transportation card, and it's also included with The Paris Insiders Pass. This lets you ride the public transportation system for free — Metro, RER, buses, trams, even the Montmartre funicular. There's nothing like this boat trip along the most beautiful river in the world. Unobstructed, second-level views of the iconic monuments and historic buildings. 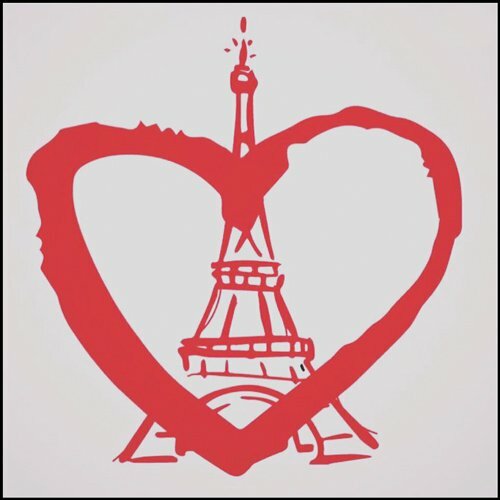 Who Should Buy a Paris Insiders Pass? If this is your first trip to Paris, or if you visit infrequently, our Paris Insiders Pass is a good solution. It takes the guesswork out of planning, makes it easy to get around and takes you to places you might never discover. The pass is perfectly suited to visitors who want to experience a lot of things in a few days.